In case you haven’t heard, there’s a huge Google Update Coming April 21st and more than likely it’s going to affect your dealership website’s traffic, even if it passes Google’s Mobile-Friendly Test. Amazingly for the first time ever, Google has not only been transparent about what they’ll be penalizing websites for, they even provided a test so simple a 3rd grader could understand and (but wait there’s more) documentation on how to fix it. A few months ago when I tested several dealer websites provided by Cobalt and Vinsolutions, all the websites failed the test. 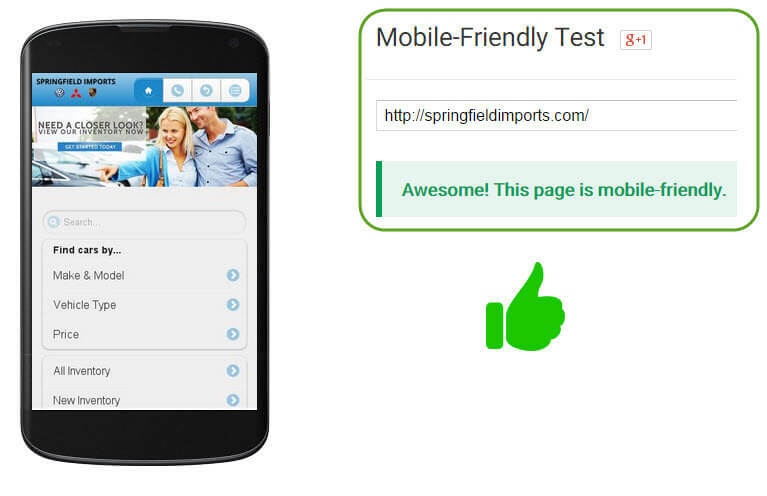 At the time of this writing on April 02, 2015 those same dealer websites somehow magically pass the mobile test. Hmnn… So what happened in the meantime? Why do they pass now? I haven’t dug through their code to know exactly what the website providers changed so this is speculation based on my experience as a WordPress developer in my other world and based on what I’m seeing (tons of errors) in Google Webmaster tools that weren’t present a few months ago. If you know more, please elaborate in the comments. 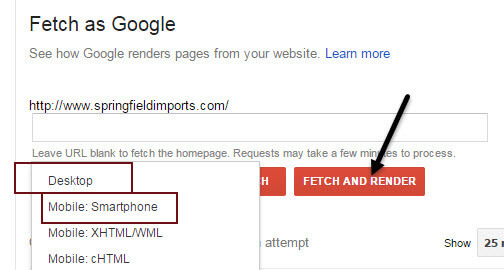 My hypothesis is the dealer website providers that use a mobile-version or app strategy rather than a true Mobile Responsive strategy like Google wants, implemented forms of “view port meta tags” that gets the websites to pass the visual “Mobile-Friendly Test” but in doing so causes the reporting errors seen in Webmaster Tools. Basically, they’re “faking out” Google. The url structures are different from desktop to mobile version. These best practices aren’t new and website providers have known for years what Google’s suggestions were for mobile website development. Now, they’re just (really) late to the party getting their platforms up to standards but who cares right, not like dealer websites cost about 3x more than any other industry. On second thought, go ahead and yell away!